Dave Grohl took a minute to casually deliver some potentially big Foo Fighters news while performing in Central Park on Saturday night. “Without making a big deal out of it, we don’t have any shows after this. 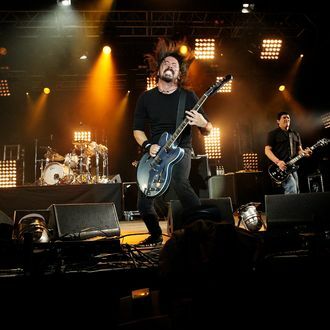 This is it, man,” Grohl said. “Honestly, I don’t know when we’re gonna do it again.” Does this mean more Them Crooked Vultures, or just more Grohl lounging poolside someplace?